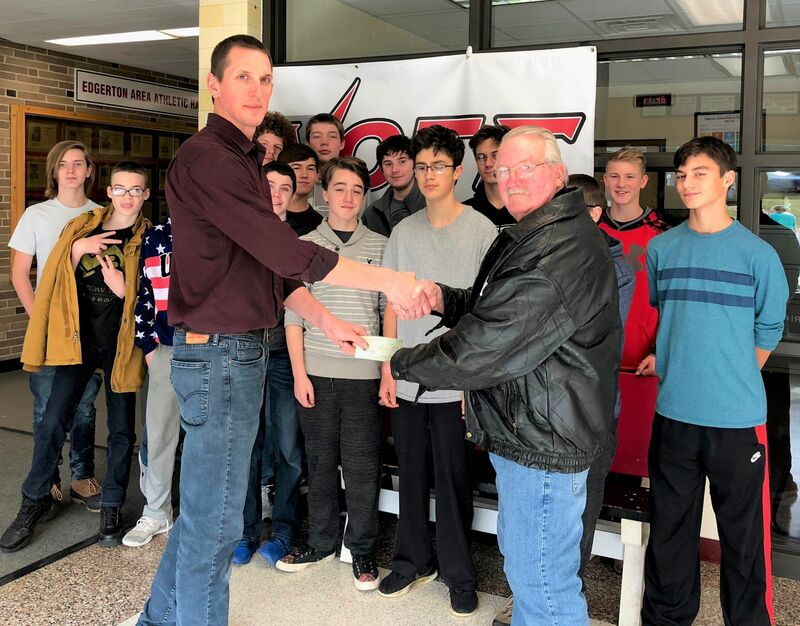 On October 30, 2018, the Edgerton Alumni Foundation presented the Edgerton School District with a grant in the amount of $903.30. The grant will support the construction of an Augmented Reality Sandbox. An Augmented Reality Sandbox will allow students in grades K-12 to interactively experience, through the manipulation of sand, changes in elevation, contour lines and simulated water. It can also be used to simulate the effects of natural disasters such as flooding and the impacts of erosion. Images can be projected onto the sand to give students a 3D representation of the land they are studying. The Edgerton School District will use the grant dollars to build the computer which runs the software for the sandbox. 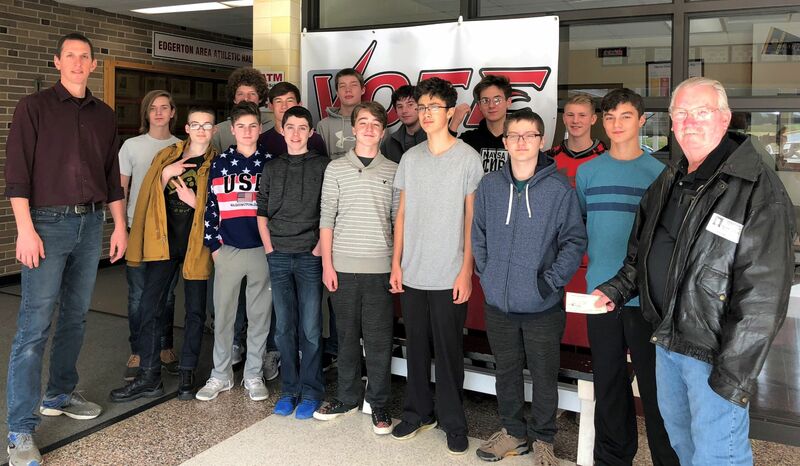 Students from Mr. Mink’s Engineering class will be constructing the computer and sandbox. With the funding from the Edgerton Alumni Foundation, this project will be completed and in use yet this school year. The Edgerton School District is appreciative of this gift. Thank you to Tracy Deavers, Director of the Teaching & Learning Department, for the photos and information about the Augmented Reality Sandbox.